In the end, there can be only one. 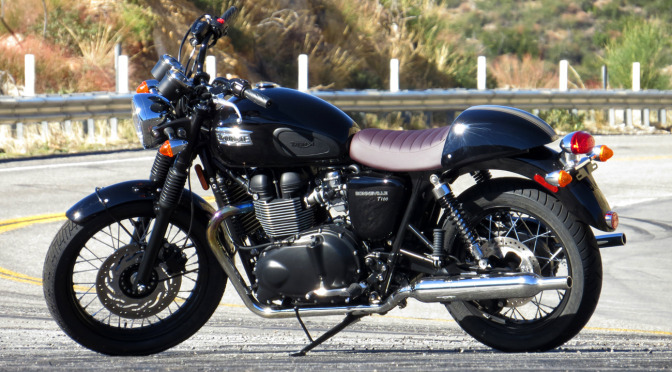 And that one is the Triumph Bonneville T100. Its competitor, the BMW G650GS, was a worthy candidate. Far more versatile, practical, can go more places, gets better mileage, has impressive technology, is more upright and comfortable, and would have been the perfectly logical choice. Thank goodness that buying a bike has nothing to do with logic, and everything to do with emotion. 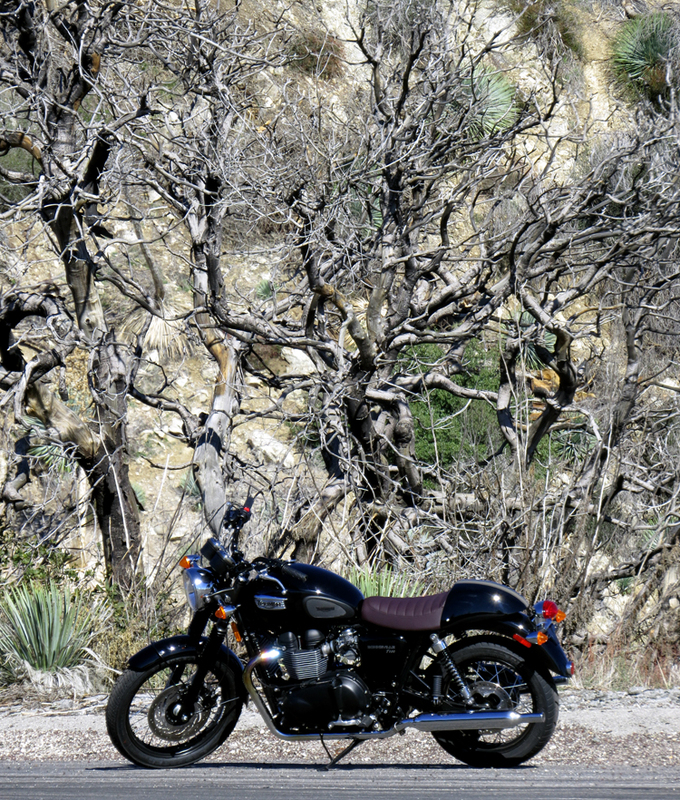 The emotion when you admire it from every angle, when you hit the starter, when you snick into first and pull away, when on a deserted mountain road with the entire world surrounding you. That thing would look sweet with some bar end mirrors. Good idea! Probably a 5 minute job, 10 minutes tops….. Saw your comment about red Loctite on TriumphRat. Heating to about 480° F will allow it to release easily. Love my ’14 Fusion White/Aurum Gold T100. Thanks Dennis! Yes, that’s what I have read from others as well. It sounds like the grips and controls have to come off to do that though, otherwise risk melting them (particularly the plastic throttle tube). Hearing is the easy part, not damaging the surrounding stuff is the trickier part, it would seem.